Hello Classy Clutter friends! 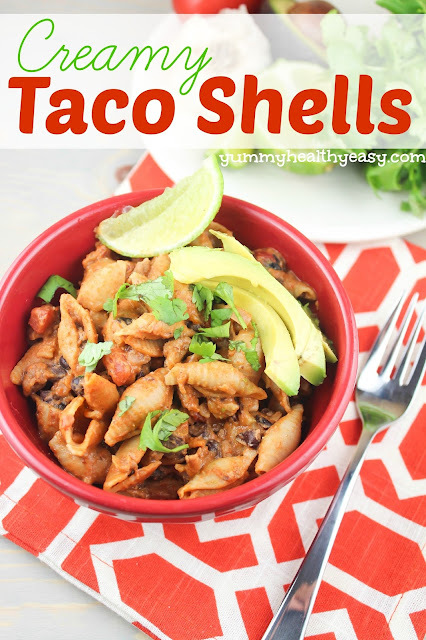 Jen here, from Yummy Healthy Easy. 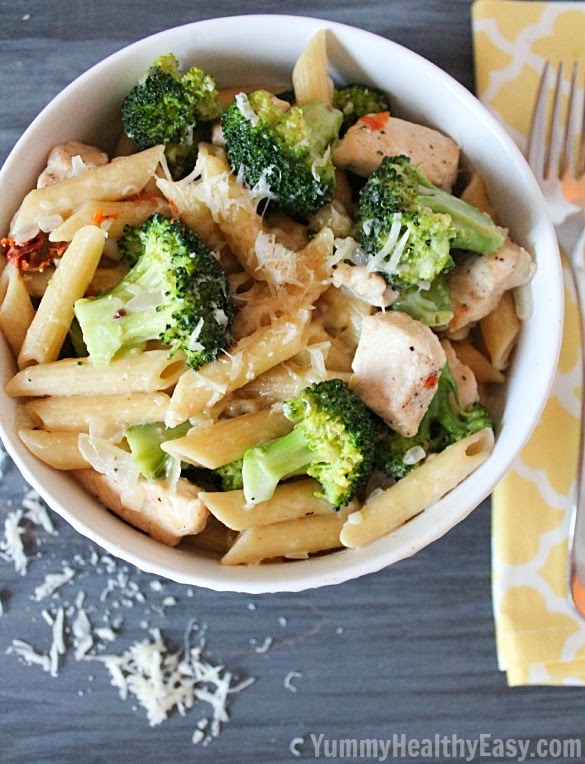 I’m back with a quick dinner recipe that only uses one dish – One Pot Chicken, Penne & Broccoli. Yay for less dishes! So daylight savings just ended. This means that at about 4:30 it’s getting dark. Not sure who invented this daylight savings thing, but I’m not a fan. Basically, I’m stuck in the house with four boys from about 4:30 to bedtime. That’s a long time to be stuck indoors with little boys and their pent up energy! The last thing that I want to be doing is fixing dinner and/or cleaning dishes for an hour out of that time. Heat 2 Tbsp. oil in a large pan or pot. Season chicken with salt and pepper and add to pan in a single layer. Cook until most of the pink is cooked through and the outside is browned. Transfer to a plate and set aside. Add remaining 1 Tbsp oil to pan. Add onion and 1/2 tsp. salt and cook on medium-high until the onion is softened. Stir in the garlic, oregano, and pepper flakes and cook for about 30 seconds. Add the pasta, 3 cups of water and the chicken broth. Bring to a boil over high heat and cook until the liquid is very thick (syrupy) and almost completely absorbed, about 12-15 minutes, stirring occasionally. Add the broccoli, sun-dried tomatoes and remaining 1-1/4 cups water. Cover, reduce heat to medium and cook until the broccoli turns bright green and is about tender, 2-3 minutes. Uncover and turn the heat back up to medium-high. Stir in the cream, parmesan and the reserved chicken and simmer uncovered until the sauce is thickened and chicken is heated through. Turn off the heat and stir in lemon juice. Season with salt and pepper as needed. 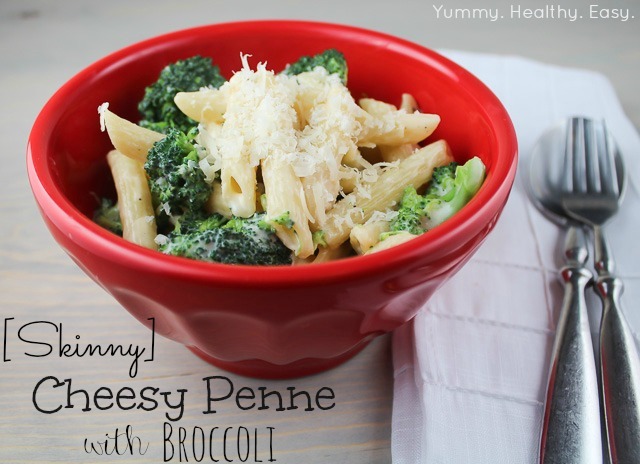 Serve in bowls with a sprinkle of parmesan on the top. Enjoy! 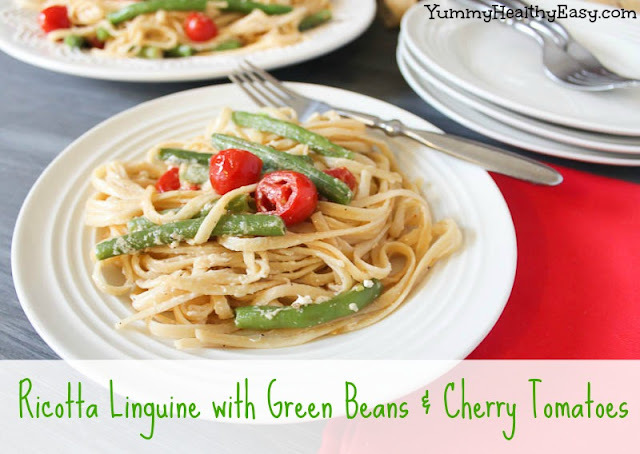 Thanks for the recipe – this was great even without the tomatoes (didn’t have any, but will try next time). 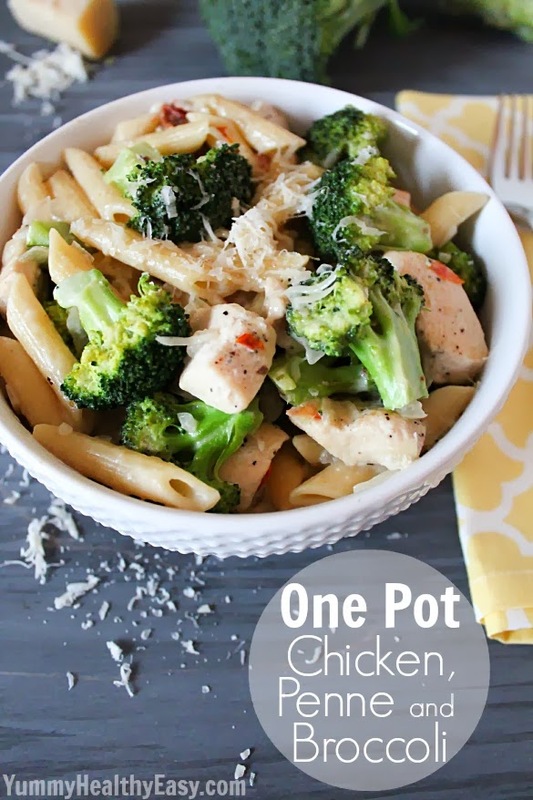 One pot chicken, penne & broccoli was fantastic!!!! 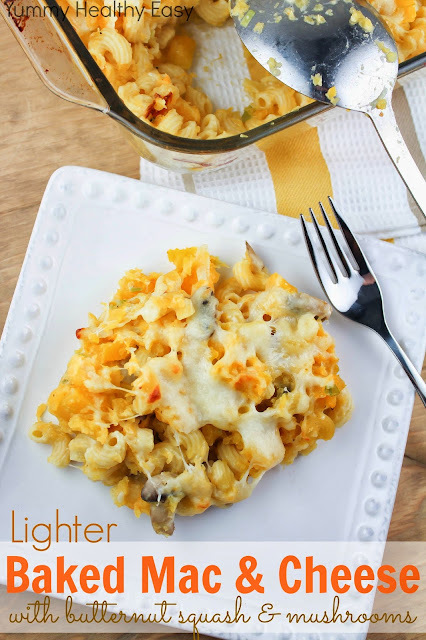 Easy, kids loved it & plenty left to heat up later! 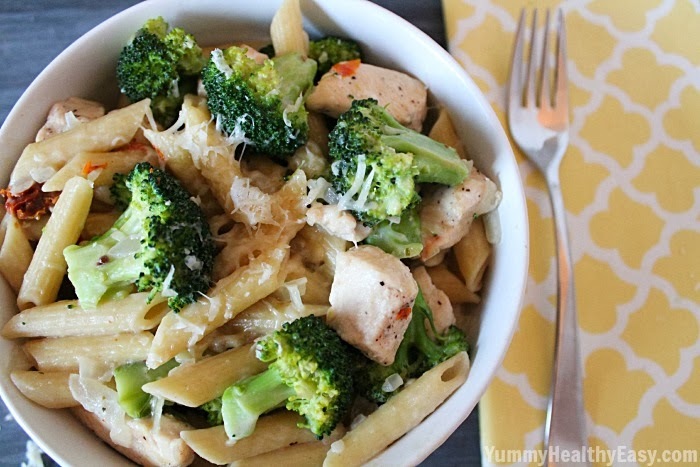 So much healthier than those frozen meals in a bag. Thank you for Pining it! This recipe had great flavor, but I think that step 3 might need a bit of clarification. Should it take 12-15 minutes for the liquid to thicken after it starts to boil, or including the boiling time? I tried to give it extra time to thicken properly, but after a while I had to move on because my noodles would become overcooked. I didn’t know if it I was still in the range of the time or not. I ended up having extra water as a result and that caused my sauce to not thicken properly. Can you provide some clarification on that?